In the "35 Jobs Up In Smoke" Department, Gourmet Virginia Ham Smokehouse Burns to Ground; Culinary World of High Priced Meat Afficiandos Blubbers | Godwin, Morris, Laurenzi & Bloomfield, P.C. By Godwin, Morris, Laurenzi & Bloomfield, P.C. of Godwin, Morris, Laurenzi & Bloomfield, P.C. on Tuesday, February 2, 2016. As the president and cure master of Edwards Virginia Smokehouse, the company his grandfather founded in 1926, Mr. Edwards, 59, has turned those lessons into haute cuisine. Food critics say his finest dry-cured aged ham rivals European classics -- prosciutto from Italy, jamón Serrano from Spain. "Surryano," Mr. Edwards called it -- a clever marketing riff that brought rural Surry County a whiff of foodie fame.SURRY, Va. -- Sam Edwards learned the art of curing country hams growing up here on the banks of the James River, from his father and grandfather before him. They taught him the secrets of salt and hickory smoke, and how to know when the meat is just the right shade of mahogany, ready to be aged like fine bourbon or wine. PhotoBut two weeks ago, Edwards Virginia Smokehouse burned to the ground, in a spectacular conflagration that erupted while workers were on their lunchtime break. 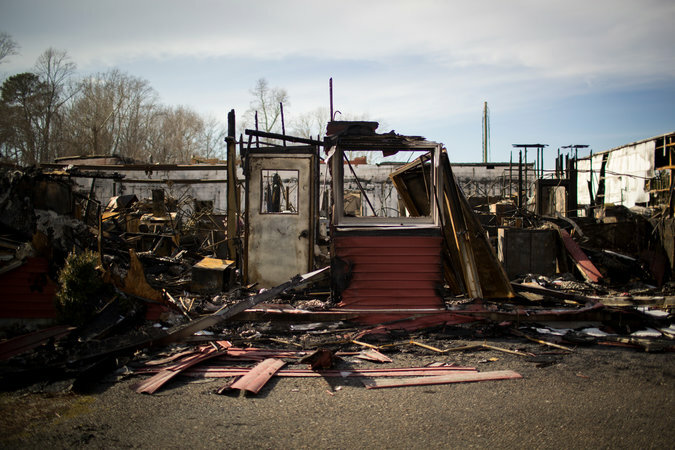 The fire caused no injuries, but it has left this close-knit community in shock, destroying a business that is deeply embedded in local lore and depriving rural Surry County of one of its largest employers outside the local nuclear plant. "It's going to trickle down to everybody in town," said Mary Alma Savedge, who went to school with Mr. Edwards's sister. She and her husband own a tractor dealership and an auto-parts store; Mr. Edwards is a customer. She often buys lunch at the Edwards retail shop, closed for now, along with the rest of the business. Her son, a volunteer firefighter, helped fight the smokehouse fire. "This is all intertwined," she said. The fire has had ripple effects far beyond Surry. Heritage farmers here and in the Midwest, who raise the rare-breed hogs Mr. Edwards requires for his specialty pork, have lost their biggest customer. A Brooklyn purveyor of sustainable meats who buys those farmers' hogs and sells Mr. Edwards his pork is grappling with a break in his supply chain. Chefs from Washington to New York are busy adjusting their menus. "We might bring on another American ham maker -- we always like to rotate -- but Edwards was a staple," said Matthew Rudofker, the executive chef at Momofuku Ssam Bar in Manhattan. "Nothing can replace them." Mr. Edwards, a big man with an easy manner, has vowed to rebuild; he employs 35 people year-round and as many as 60 at Christmastime. He said he would pay them as long as he could. But while hams can be replaced, he said, some of what he lost cannot. The fire consumed priceless family artifacts: photographs, his grandfather's horse-drawn sleigh, a hand-cranked phone from the 1940s, the brass skeleton key to the original smokehouse his grandfather built. 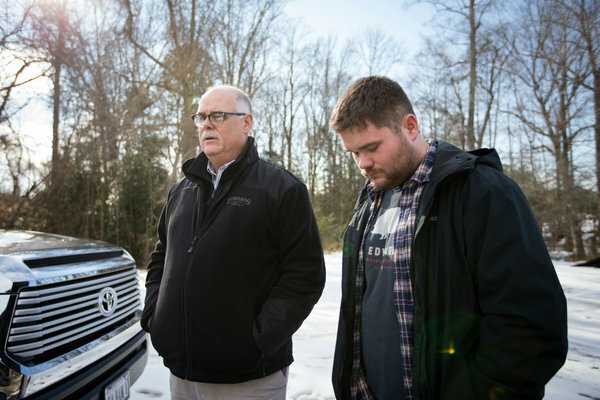 "I look at it like, 'This is life,' " Mr. Edwards said last week after a quick tour of his property, where freezers had been reduced to mangled, twisted wrecks. Fire-blackened hams, picked over by dogs, sat in a pile out back. "As heartbroken as we are, I'm a plodder. I'll just keep going on," he said. Surry County, across the James River from Jamestown, is rich in American history; its courthouse has parchment deeds, written in Colonial-era cursive, that date to 1652. People in this region have been salt-curing country ham for centuries. Smithfield, the nation's largest processor of pork, is in Smithfield, Va., just down the river. But for lovers of Edwards ham, Smithfield just won't do: The pork behemoth was bought by a Chinese company in 2013, creating a stir here. "They might as well be in China," said Bess Richardson, who coordinates volunteers for the Surry County Historical Society. Mr. Edwards, born Samuel Wallace Edwards III, has deep roots here. A great-grandfather, Albert Jester, owned and ran the ferry that connected the county to Jamestown. His son-in-law was Mr. Edwards's grandfather, Samuel Wallace Edwards Sr., a ferry captain whose ham sandwiches so delighted customers that he went into business for himself. Longtime residents remember the elder Edwards carting his hogs on a tractor-driven wagon through the center of town. The younger Mr. Edwards took over the business in the early 1990s after his father, Samuel Wallace Edwards Jr., retired. He expanded it into specialty fare, marketing boutique foods like turducken, and became a respected figure in farm-to-table circles, said Patrick Martins, the founder of Heritage Foods USA, the Brooklyn company that sells Edwards Virginia Smokehouse its meat. 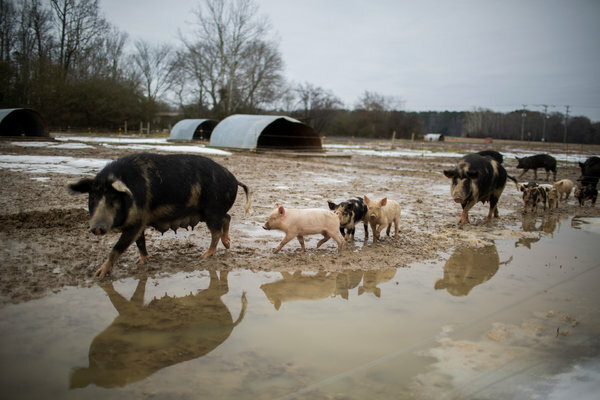 Here in Surry, Tony Seward, a local farmer, gave up growing row crops in order to breed heritage black-and-white Berkshire hogs for Mr. Edwards. The men have known each other all their lives. "He's 90 percent of our market," Mr. Seward said, "and he'll be the one that's going to get me through this." 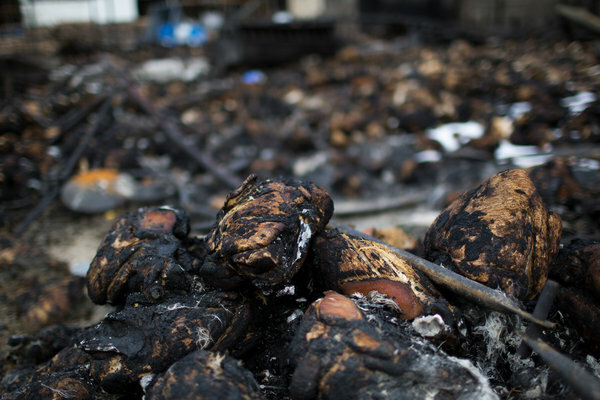 The cause of the fire remains a mystery. Tyrone Franklin, the Surry County administrator, called it "a nightmare" for the local economy, adding that "after the event, I didn't really get a whole lot of sleep." The fire broke out around 12:40 p.m. on a Tuesday. Mr. Edwards said he was in his office, on the phone. "I smelled smoke, and it wasn't hickory smoke," he said. "It smelled like plastic burning." He yelled to the office workers to get out -- most others were at lunch -- and called 911, he said, then rushed to the back of the property to cut off the propane gas tanks. He tried to dash back into the office to grab his computer hard drives, but it was too late. "The offices were fully engulfed," he said. About 125 firefighters from 12 companies in the region spent two days rotating through Surry to fight the fire, said Mark Seward, the volunteer fire chief in Surry and a distant relative of Tony Seward's. He deemed it not suspicious; it will be up to insurance investigators to assess the damage and determine the cause. On a cold, gray afternoon last week, Mr. Edwards was holed up with those investigators, working out of the trailer that usually serves as the company's lunchroom and is now a makeshift office. His national sales manager was hunched over a laptop, filling orders. (The company, which typically ships about 50,000 hams a year, still has 14,000 in cold storage off site.) His plant superintendent was drawing up lists of equipment and inventory. 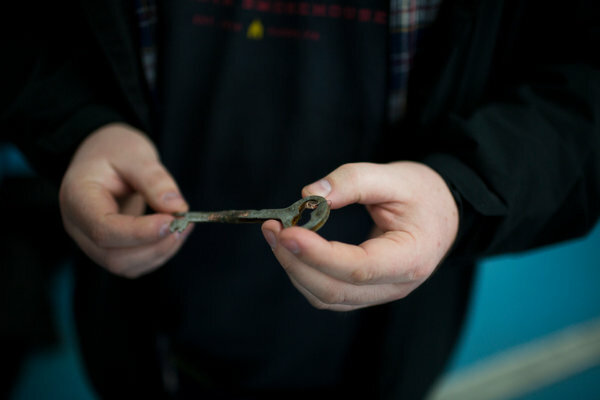 His son, Samuel Wallace Edwards IV, who goes by Sammy, had been digging through the rubble with the maintenance manager, J. C. Judkins III, looking for the old smokehouse key. The younger Mr. Edwards, 26, cradled it in his hands. It was charred but intact. Mr. Judkins, a burly man in a knitted cap, fought back tears. "It's not one of those things you can find the words for," he said. "This is all extended family." Mr. Edwards is more stoic than tearful. Yet there is an image he cannot get out of his mind: a photograph taken as his company burned down. Part of the sign that read EDWARDS had dropped off, leaving only four letters: D-A-D-S. He wondered, he said, if his father and grandfather were talking to him. He could almost hear them saying, "This was my place."